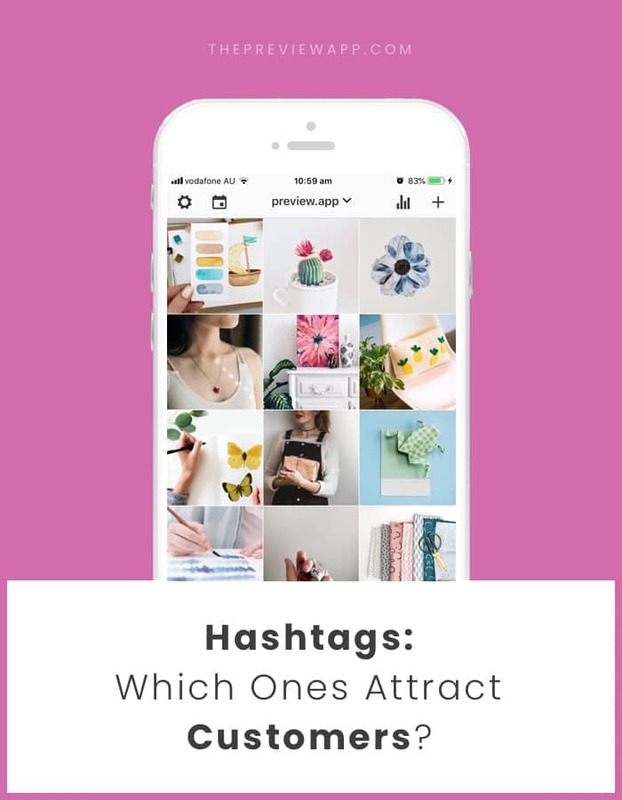 How to use Instagram Hashtags for your BUSINESS + Attract CUSTOMERS? Oh hashtags! If you have been reading my other Instagram tips, you know hashtags are one of my favorite Instagram topics ever. I also love hashtags because each hashtag is a community. For example, #mycreativebiz is a community of creative business owners (designers, marketers, artists). As a business, you can connect with any communities. All thanks to hashtags. Which hashtags should you use to get in front of the eyes of your ideal customers? If you look at an Instagram hashtag page, you will see a number on top of the screen. This number is the total number of posts that people posted using that hashtag. Instagram allows you to use 30 hashtags per post. Choose a mix of hashtags: mix big, medium, small and community hashtags. This mix will allow you to appear in front of the eyes of different people and communities, who are still part of the same “category” / “industry”. Ok, now you know that mixing your hashtags are a good trick to attract different people and communities. They might not be what you think. Let’s take an example. Let’s say you sell cute pens. Who will want to use your cute pens? Let’s say women business owners want to use your cute pens. Now, let’s be honest. These women might not be actively looking for a cute pen on Instagram. And they will not necessarily search for #pen on Instagram. They can be scrolling on Instagram and *oh my gosh! * your cute pen appears in front of their eyes! Or they can be looking at their favorite hashtag page (#mycreativecommunity) and see your cute pen. Another Tip: Use the Hashtag Finder in Preview to quickly find community hashtags. Find Instagram accounts who repost photos. They usually have a “branded hashtag”, which is a hashtag they created for their community. People can use this hashtag for a chance to be featured. This is a chance for you to be featured on their page and gain more exposure in front of the right audience. Go on Instagram and look for accounts in your industry who are reposting content. It is always wise to use a couple of hashtags that describe exactly what you are selling. This way people who are specifically searching for something on Instagram (#cutepen #cutestationary) can find you directly. People now open their Instagram app more and more to search for things to do in their city. For example, our hashtag is #ipreview. People who use Preview and want to connect with fellow Preview lovers (and with us) can use this hashtag. Creating your own Instagram hashtag is an awesome way to build your community. Encourage your customers to use your hashtag so you can see what they are creating with your products. And with their permission, you can repost their photos on your Instagram feed! Instagram is much more fun when you connect with people who already care about you and your services. I hope this blog post was helpful. Don’t hesitate to leave a comment below if you have any questions. 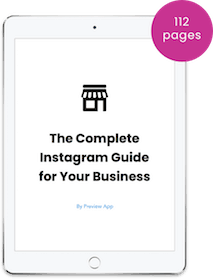 And if you want all our Instagram tips, you can download our Instagram Guide below. Enjoy!